On my personal facebook page a week ago I posted a status about how hard it was finding maternity clothes that actually fit. I was flooded with friends trying to help with suggestions where to shop. Most of the suggestions were places that I had already purchased things from, but my biggest problem is finding denim that fits my little hips (or lack there of). I compiled a list that I have purchased some things from and could even be worn after baby is born! Nordstrom | Kinda my go to, especially when they run sales! I purchased this dress for a wedding in November and also some of the cutest tops like this one and this one. Can you tell I've really been embracing the black wardrobe with this pregnancy! Also, a lot of looser sweaters from brands such as topshop I still am able to purchase in my normal size. H&M | I purchased these jeans and fell in love with them. However, everyone else must of had the same idea because they have been sold out of my size for months now. They have great basics such as leggings and tights too! Old Navy | I originally purchased denim from here, but the smallest size they have are a size 1 which fits the bump but not my hips. If you are able to fit in their denim they have great price points and run sales all the time. I did pick up basic tee's and long sleeves to wear with cardigans and into spring. Great options for work out apparel too! Pink Blush | They have the cutest dresses! I also got a couple cute tops and tunics to wear with leggings. They are reasonably priced for trendy items. Hope this helps all the mama's to be out there! 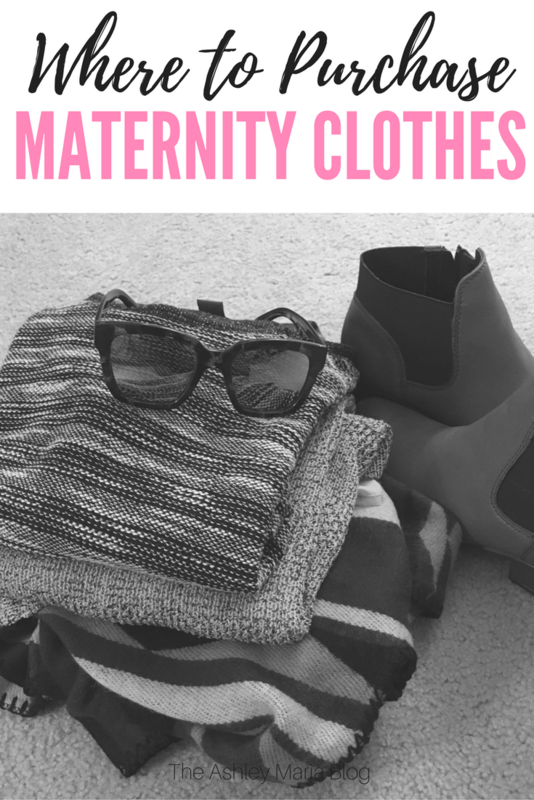 Do you have any trendy shops you shopped or are shopping in for maternity clothes? I would love to check out some new ones!